Station Cottage sleeps 4 in two bedrooms with garden with views over Cambrian Mountains on the edge of Cors Caron National Nature Reserve. Located near Station House, please see Station House for details on the area. Tariff - £322 to £546 per week, short breaks available out of high season. 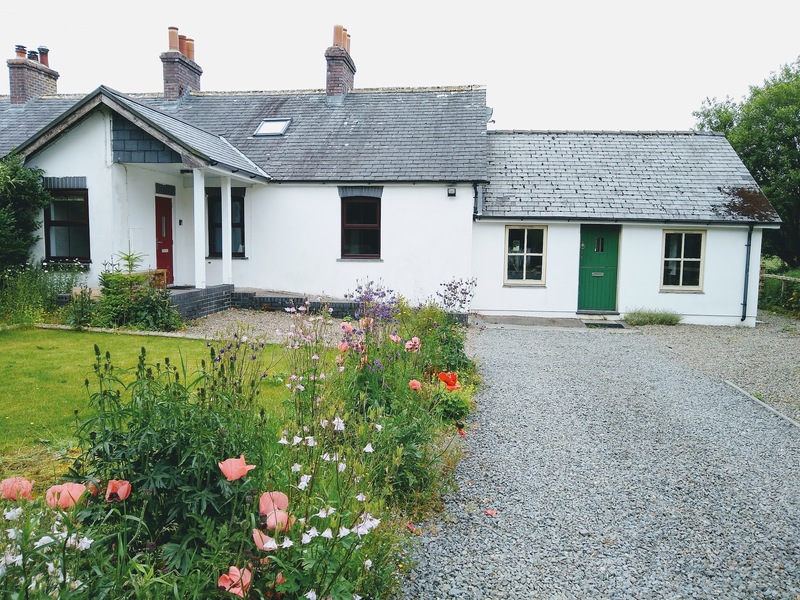 Station Cottage is self-catering however we will supply you with enough washing up liquid, bin bags, hand soap and toilet roll to get you started. You will be greeted with a complementary welcome pack including tea, coffee, sugar, milk and a local treat! Living Room - The room has a T.V / DVD player, large sofa and wood burning stove. Kitchen / Dining area – The kitchen is equipped with fridge freezer, microwave, dishwasher, along with an electric cooker. 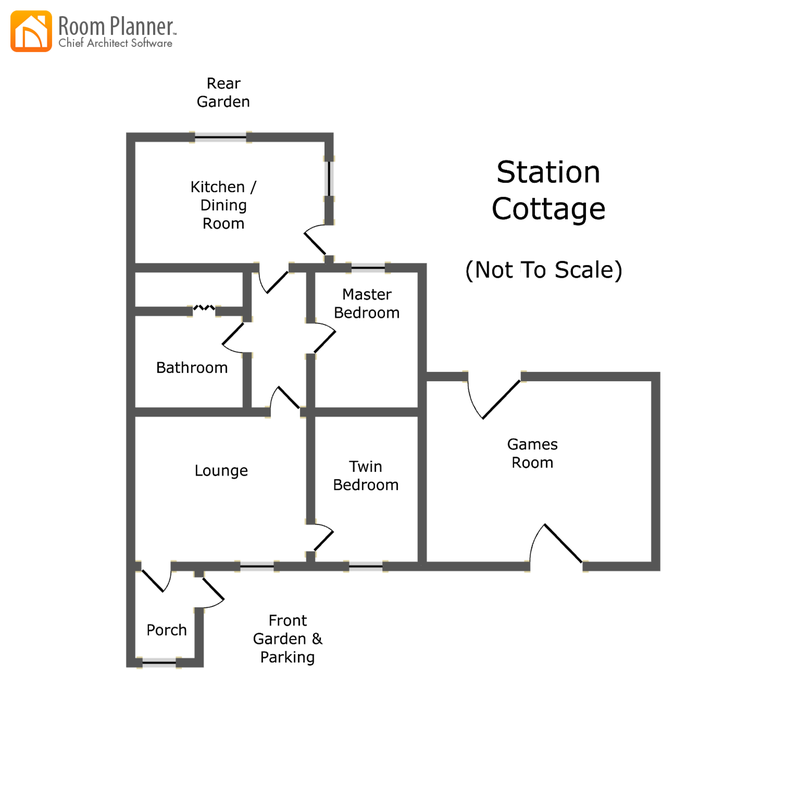 Every effort has been made to ensure that the kitchen is equipped with everything that would be required for a comfortable stay at Station Cottage. There is seating for 4 at the dining table and high chair available on request. Bathroom - Includes bath with shower, toilet and wash basin. Master Bedroom – The main bedroom has a king size bed with views out to back garden and mountains beyond. Travel cot and changing mat available, please ask. Linen and towels are provided, please bring your own beach towel. Second Bedroom - Sleeping two in single beds. There are also a washing machine and tumble dryer in the cottage. Garden - The house has a good sized garden mainly laid to lawn with views over the Cambrian Mountains beyond and surrounded by fields. Parking – There is off road parking space for three cars. Electricity - Electricity is included. Change Over - Change over day is Friday for weekly stays. Weekend breaks and Mid week breaks also available out of high season. Arrival time is from 6pm and departure 10am. Relax in the lounge after a day of exploring the local area and attractions.